Please note that exercise bike manufactures do not use a standardized mounting hardware. 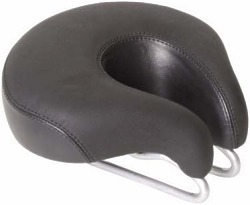 If you need a seat adaptor, we have them in stock. You can use this seat or almost any other seat on your exercise bike.